Entrepreneurs with high self-esteem are more daring, take on more responsibility, and achieve more. Therefore, nurturing high self-esteem throughout childhood will enable growth and achievements. It will be easier for us to nurture self-esteem if we accept Rabbi Nahman from Breslov's prospection, he said, "know that each and every shepherd has a special melody. Know that each kind of grass has its own special song...? Already in his early stages the entrepreneur understood that he must learn a lot to promote his project. Part of the learning process is asking questions. An entrepreneur who is afraid to raise questions will learn things the hard way. Each and every one of us has a field of expertise that we tend to be better at than others. It might be possible that some fields were completely ignored. However, that does not reflect our ability to succeed in life. If we find it right to ask questions, we should be able to succeed without fear. In practice, sometimes we tend not to ask questions so as not to harm our image by revealing a lack of knowledge. If this is why we do not ask questions, then this indicates a precise lack of self-confidence. A person who feels comfortable raising questions is a person with high self-esteem and who has no problem exposing his/her lack of knowledge or lack of understanding of any topic. One of the Israeli defense ministers toured the north of the country and he received binoculars to observe the area. Although he didn't see anything he didn't ask why he couldn't see because, apparently, he felt that there was an expectation of a person in his class to know how to use binoculars and if he asked, perhaps, he'd hurt his public image. But a person with self-confidence and high self-esteem would ask and would not fear a question like that would harm his status. 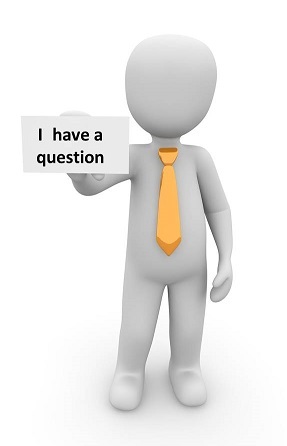 The fear of asking questions apparently comes from those days in school or in different social gatherings when someone would ask a question and receive answers response of giggles or mockery. Eventually, we repressed the desire to ask questions and receive answer. The solution to this problem is in education for tolerance. From our experience, we have learned that, in many cases, there are people among those present who desire someone else ask questions so they do not have to ask themselves. I've learned that these giggles at your questions often come from those who don't know the correct answer themselves, whether this is because they are not experts on the subject or because they did not really understand the question. This reveals a lack of understanding, a lack of self-confidence, and arrogance. Asking questions is important, even when everything seems clear, because we can find that one person means X and the other means Y. Both sides are absolutely sure they understood each other, but only by asking questions and getting answers can we confirm our understanding. There have been more than a few mistakes made throughout history that came from a lack of understanding between both sides, like the most important military move in the Six Days War, according to Dr. Uri Milstein. As educators, we must encourage children to ask questions and enable them with satisfying answers. If it seems that we think the question is unnecessary, we can ask the child what he thinks the answer might be and, from his answer, we can understand why he asked the question. Successful leaders, inventors, and entrepreneurs aren't afraid to speak their minds and walk their own path, even if it's not acceptable to those around them. As authority figures, we should encourage the child to express his opinion even if it's different from his/her group's or family's opinion - that's the way to encourage self-thinking. 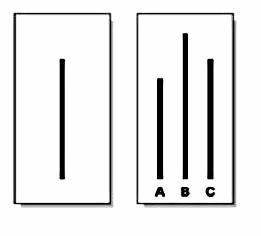 The experiment found that, although it was clear that the left line had the same length as line C, there were students who agreed with the wrong answer given by the group of collaborators because they gave into the pressure exhibited from the collaborators. *	The Wright Brothers developed and flew the first plane - but for their first flight, the press didn't come to cover the event, because the two brothers were thought of as somewhat insane . Only four adults and one child, in addition to the Wright Brothers, were present at that historic moment. *	Mario Levi - the founder of organic farming in Israel- said in an interview with Haaretz: It was not easy at first. When I first said the words, 'organic farming', people thought I was crazy. *	Dr. David Harari, a pioneer programmer of UAVs (unmanned aerial vehicles) of Israel, said in an interview with Globes: When I started working on the UAV program at indoors and the aerospace industry, people laughed at me and my crew. All that was toward the end of the '70s and most people did not believe in me, including members of the board... at that time there were no drones anywhere and we had to make something from nothing. We were stubborn, despite getting laughed at and being told we were children playing with toys. Since then, the UAV project has made significant success in the world. *	With the sale of Eden (Water company), Dan Naphtali wrote about the founder: In those days, people thought he was crazy. No one believed that Israelis would pay for a bottled water. And, years later - there are other competitors who pay for good water, which has become a culture, just as in Europe. Brainstorming exercises are a great way to allow each team member to practice self-positive thinking and express opinions, ideas, and solutions without getting criticized. Entrepreneurs, especially in the service field, receive recognition and appreciation from their colleagues and customers when they share the knowledge they have accumulated. Sharing knowledge indicates confidence, faith in yourself, and high self-esteem without fear of your status. In Israeli culture - keeping knowledge to yourself testifies, in my opinion, the weakness of man and reveals his concern about his status. This occurs in workplaces where there is no job security, or the position of the employee in the hierarchy can become damaged. When a person feels confident and has high self-esteem, he/she willingly shares his/her surroundings and his knowledge. *	They are considered experts in their field. *	They show openness to those around them as well the ability to build social and business connections. *	They get an appreciation of their environment. *	And, most of all, they get to learn from their environment because, in their environment's eyes, they are considered as experts and, therefore, they are approached for their advice and opinions, Experiences and problems - in that way - the sharing part becomes wiser and enhanced. In addition, sharing encourages camaraderie and empathy and, therefore, contributes to harnessing the commitment from associates to success. Recently, we have witnessed a significant development in the field of social networks, particularly through the contribution of Facebook. One of the most basic rules of marketing through social networks is to market yourself or your business expertise by uploading professional content to the network, which will add value to your target audience. 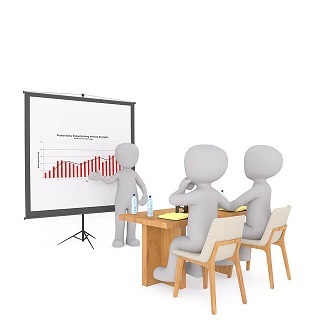 By sharing knowledge (alongside other marketing actions), the numbers of clients will grow. People who share their knowledge show that they have confidence, high self-esteem, and are not afraid of their status. They broadcast a message saying that they have much more knowledge to contribute. And that's the reason why we can find many articles on the internet today. Sharing knowledge among youth comes in the form of collaboration. Challenging team assignments, based on the child's age, encourage team collaboration and harness knowledge and the ability of every kid for the good of succeeding in the mission. One of the common reasons of entrepreneurs failing is overconfidence: entrepreneurs who believe they understand their field the best and refuses to listen to their environment and clients. 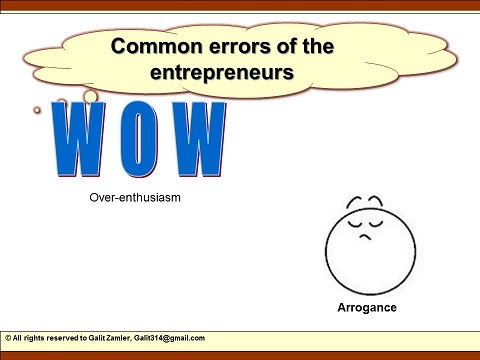 The third module of the Entrepreneurship for Kids (EFK) Program deals with learning from others' failure, with reference to the element of overconfidence. The combination of optimism and overconfidence causes people to over exaggerate about their knowledge and their ability to control a situation, and also to underestimate the risks of their actions. This phenomenon that's described by Yossi Yassour, stands out when it comes to technical entrepreneurs; sometimes, for them, the product which they develop is the best and exactly what the market needs. Therefore, the product will sell itself almost without any marketing efforts. Though. in reality, it's usually different and it seems that there are competitive products. Clients have demands for changes, so if they don't make the right marketing actions, the product won't sell itself. Cases in which the entrepreneur knows and can develop a project and bring it to market success independently are rare. The entrepreneur usually needs help. 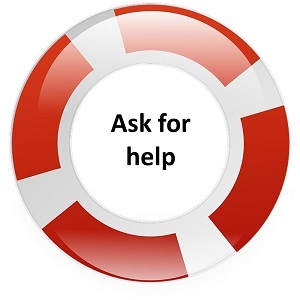 The ability to ask for help comes from high self-esteem: a person who asks for help acknowledges his strengths and limits and does not fear to let others know he/she needs help. The need for help can be in any field, and only by acknowledging that we need it. Ed Mlavsky, who knows the entrepreneur's field from all his aspects, talks about it in his video that was produced through Global Entrepreneur's Week in 2010. In order for an entrepreneur to succeed, he/she must be able to think critically and not accept things as inevitable and necessarily true. 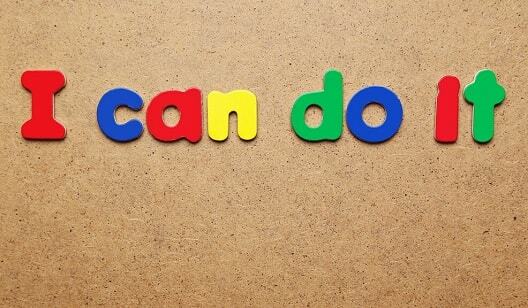 In order to develop critical thinking, we first have to believe in ourselves and our discretion and have self-esteem. Critical thinking has an important role in asking questions and looking for answers. If there is not a sufficiently good answer/solution, then the next project can start. One of the common problems today, which spreads because people don't think critically enough, is the "Fake News". But the "Fake News" problem can be easily turned into an advantage, training ourselves to think like entrepreneurs. This is an ability that can be developed with little attention. When we stumble upon a "new item", we will exert our discretion, ask questions, appeal, and will not accept the item as absolute truth. When everybody will act like that, on one side the "Fake New" problem will diminish completely because people will not act like a sheep and will share fewer false items. On the other side, our society will develop critical thinking skills, which are required to develop an entrepreneurial culture.